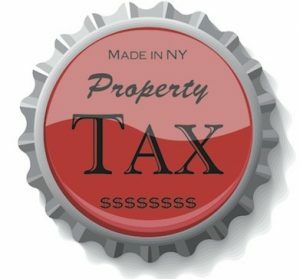 Taxpayers beware: the annual push to water down New York’s property tax cap is underway in the state Legislature. As explained below, one bill in particular—sponsored by majority members in both the Senate and Assembly—could add $1 billion to property tax bills over the next few years. The tax cap, which was promoted and signed into law by Governor Andrew Cuomo in 2011, has to date been the most successful effort to limit property tax growth. Unlike the gimmicks that preceded it, such as the state-subsidized School Tax Relief (STAR) program, the cap has slowed the growth of local property taxes across the board, putting a speed limit of sorts on local government and school district spending. New Yorkers would have paid another $7 billion in school taxes alone by 2016 if levies had continued rising at their 30-year pre-cap growth rate, the Empire Center has calculated. But despite the cap’s record, some lawmakers seem determined to weaken it. In the first month of the 2017 legislative session, members filed 17 bills that would allow property taxes to rise faster by adding exclusions to the cap or changing the cap’s mechanics. Six bills already have sponsors in both houses. A key feature of New York’s property tax cap is that it holds the growth of property tax levies, with some exclusions, to 2 percent or the rate of inflation, whichever is less. This inflation component is necessary to ensure that the cost of government doesn’t rise faster than the cost of everything else, and has been of particular importance in recent years when inflation has been negligible. The inflation link has been a frequent target for tax cap opponents, who argue taxes should be allowed to rise at least 2 percent each year, regardless of whether taxpayers’ ability to pay is also increasing. Legislation that would abolish the inflation component of the tax cap was introduced last month by Sen. Kathy Marchione (R-Saratoga) and Assemblywoman Ellen Jaffee, (D-Rockland). Their bill (S1707/A3799) would decouple the tax cap from inflation, all but guaranteeing that local taxes will rise by 2 percent every year, even when inflation is near zero. The measure was previously introduced by former Nassau County Assemblywoman Michelle Schimmel, but it never found a sponsor in the Senate—let alone a majority member—until now. Senator Richard Funke (R-Monroe) is listed as a co-sponsor. The inflation rate used to calculate the cap (average change in the consumer price index during the prior calendar year) has been lower than 2 percent for the past three school years. 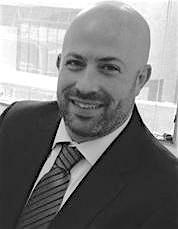 If the inflation component had been pegged at 2 percent in 2011 instead of the consumer price index, and assuming just half of school districts continued hiking taxes up to the limit, New Yorkers would have paid at least $450 million more in school taxes alone between 2014 and 2016, and would face an extra $400 million on their school taxes in 2017-18. In other words, assuming inflation continues to remain low, the Marchione-Jaffee bill could amount to a billion-dollar tax increase for New Yorkers in just a few years. Another tax cap flash point has been the minimum override threshold of 60 percent of school districts residents voting in a referendum, or 60 percent of a municipal or county governing board. For some, such as most town and village boards, the tax cap is only a matter of optics: on a five-member board, a 60 percent override requires the same three votes as a simple majority needed to approve a budget. But reluctance to pierce the cap was further fueled by Governor Cuomo’s state’s “tax freeze” gimmick, which sent rebates to homeowners whose elected officials stayed under the tax cap (while, perversely, encouraging them to increase taxes up to the cap because the rebates grew proportionately). The override requirement has been most effective in school districts, where budgets that override the cap must garner 60 percent support from voters–and where two failed budget votes result in the levy being frozen. A separate bill introduced by Assemblywoman Jaffee (A227) would drop the supermajority requirement for school districts to pierce the cap, instead calling for a simple majority–making overrides no more difficult than passing a budget within the cap, and inviting a return to the days when school taxes grew by more than 7 percent per year. A similar bill (A2699) introduced by Assemblyman Philip Steck (D-Albany) would require simple majorities to approve an override, provided that 60 percent of school board members voted to authorize it. Lawmakers have also introduced bills that would exclude different costs, ranging from county shares of Medicaid costs to public safety expenses, from the tax cap. Each proposed exclusion to the tax cap could potentially allow a one-time tax surge as each local government or school district’s property cap was hiked to accommodate an entire category of governmental expenses. And the pervasive use of exclusions is part of why New Jersey’s tax cap, which was implemented shortly before New York’s, has been generally ineffective in curbing the growth of property taxes in the Garden State. Fortunately for taxpayers, Governor Cuomo has held the line and turned back efforts by anti-cap activists to “go under the hood” and tinker with the cap. Government unions will likely continue to push to weaken the cap because it’s been an effective curb on the growth of government spending, causing some unions to collect less money in dues than they would have otherwise. But state lawmakers should be expected to recognize that the tax cap is working the way it was designed, and that it will continue to keep increasing amounts of money in their constituents’ pockets–as long as they leave it undisturbed. A2699 – Asm. Philip Steck (D-Albany) – replaces supermajority requirement on school budget votes with a vote by board members. A1059 – Asm. Sandra Galef (D-Westchester) – excludes certain capital costs from projects undertaken with another municipal entity. This list will be updated as other bills to weaken the tax cap are introduced. State lawmakers have resumed their annual push to weaken the #nytaxcap.